"... you are certainly correct that there is a lot of stock under construction that will settle through the end of this year and next. However, with few exceptions most of this is small 1bd and 2bd "investor" stock targeted at the rental market. As you said, this is already leading to increases in vacancy rates and lower rents - at present, this is probably just a return to normal but it will probably over-correct and the rents/vacancy for small 1bd and 2bd stock will be worse than long term trend levels. That said, why do you see this impacting on quality owner occupier buildings such as admiralty, quay west?? The investor stock being constructed at present is vastly different to the owner occupier stock and I doubt there are many occupiers out there tossing up between admiralty and meriton's soleil. I feel the two markets will diverge and the the limited amount of quality owner occupier stock will lead to growth in this market. Do you not agree?" This is my response. 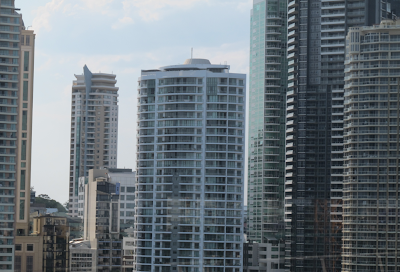 The over-supply in Brisbane is having an impact on the rental market for the high quality, owner occupied buildings. Note that many these buildings still have more than 40% of the apartments rented out, usually to long term tenants. For example, in Admiralty Towers, large three bedroom apartments that rented for about $1,400 a week at the top of the rental market boom are now renting for less than $1,000 a week. An excellent large one bedroom apartment with river views, fully furnished, has been vacant for months, at an asking rent of less than $600 a week. This apartment would have rented quickly at about $640 a week two years ago. For some reason, some tenants prefer smaller apartments in newer buildings. Prices seem to be holding up at present, partly because interest rates are so low. I recently locked in an investor loan fixed for 3 years at 4.09%. Even at a reduced rent, this property is cash flow positive today. So why sell? 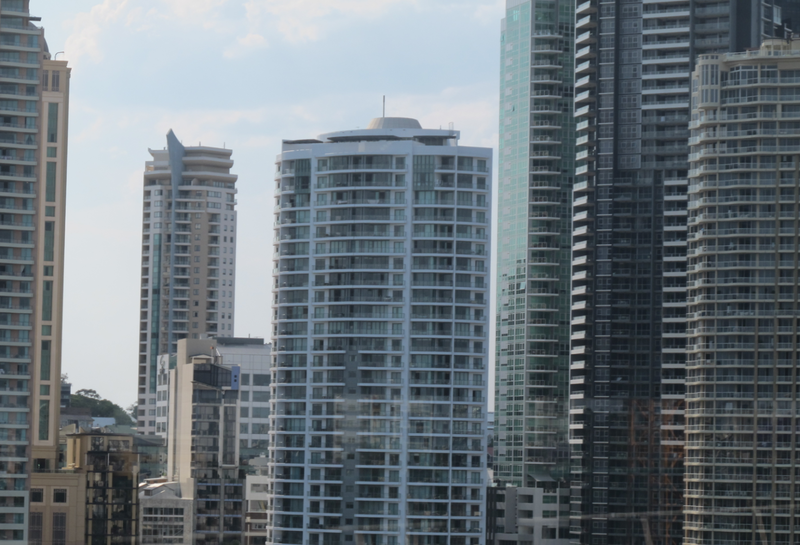 I agree that owner-occupiers still have little choice for quality apartments in Brisbane. If you are looking for a large two or three bedroom apartment in a quality building in a good location, there is still not much choice. Very few of the new buildings would be suitable if you are looking for a long term residence. jeff, do you think the owners/buyers of these large "owner occupier" style apartments view rental return as their primary justification for ownership? sure, a 30% decline from $1,400pw to $1,000pw is substantial - but at a guess that apartment would be worth around $1.1m, it's not the sort of thing that investors buy as a yield play - i would expect most investors who buy things like that buy them as a capital growth play. even if we suppose that the owner of the apartment *did* place a high importance on yield, at $1,400pw it had a gross yield of 7.0%, which has now dropped to 4.7%. both of those figures are exceedingly good in historical terms for high-end residential apartments. undoubtedly the owner would be noticing the difference, but i wonder if the difference is sufficient to motivate a decline in prices?? what i would presume to be their primary justification for ownership (capital growth potential) remains - it might even have been made stronger as larger apartments like this are now relatively rarer. meanwhile their secondary reason for ownership (cost of ownership) remains within reasonable bounds. in other words, the free dom perignon might have stopped flowing... but owners are still enjoying a good party. ps: regarding your 1bdrm example - my view is that the market for furnished apartments is rapidly dwindling, for many of the reasons you stated in your response (i.e. less executive rentals). i suspect the apartment would be much more attractive to long term tenants if the furniture was removed and the price proportionately adjusted.